KickoffLabs is giving every attendee a 3 month Business subscription to KickoffLabs, free in-person launch campaign review (first 5 signups requested), and our exclusive sketchbook of MicroConf notes! Signup below to claim your free subscription and review before MicroConf is over! 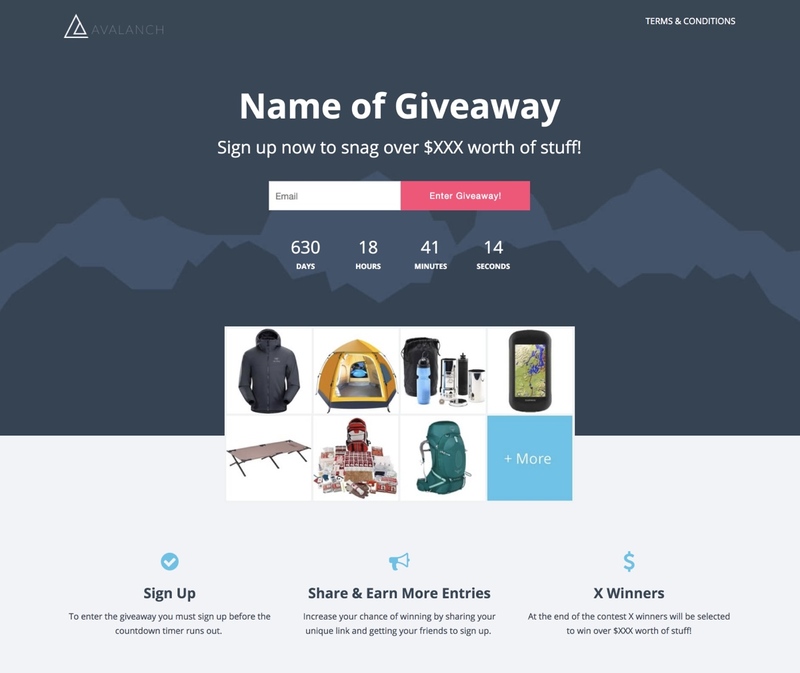 Quickly setup refer a friend style giveaways, sweepstakes, and product launches! KickoffLabs is giving every attendee a 3 month Business subscription to KickoffLabs, free in-person launch campaign review (first 5 signups requested), and an exclusive sketchbook of our MicroConf notes! Check out just some of the types of campaigns you can setup with KickoffLabs. 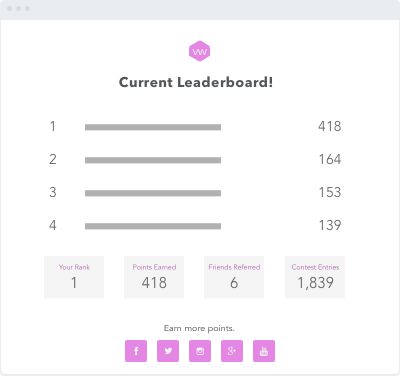 Send everyone specific rewards for reaching certain point totals in your contest. 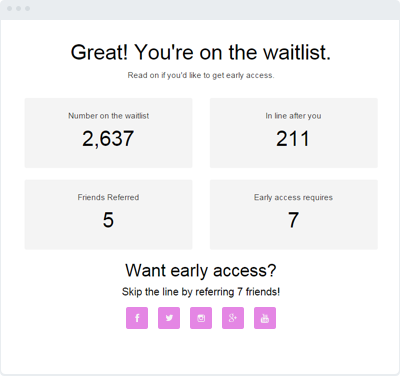 Leads can move up your waitlist as they refer friends and earn points.. 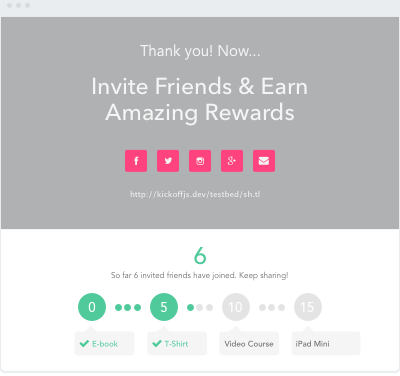 Participants earn more entries in your contest for referrals, likes, and other social actions.